On October 29, 2007, a fisherman found a plastic storage box washed up on an island in Galveston Bay that contained the body of a two-year-old girl. An autopsy revealed that the child, named "Baby Grace" by investigators, had a fractured skull. The Galveston police released sketches of the toddler to begin a nationwide effort to identify her. A Texas man and woman who did not report her child missing were arrested in connection with the case. At the time, police were awaiting the results of DNA tests to confirm the identity of the girl they called "Baby Grace." 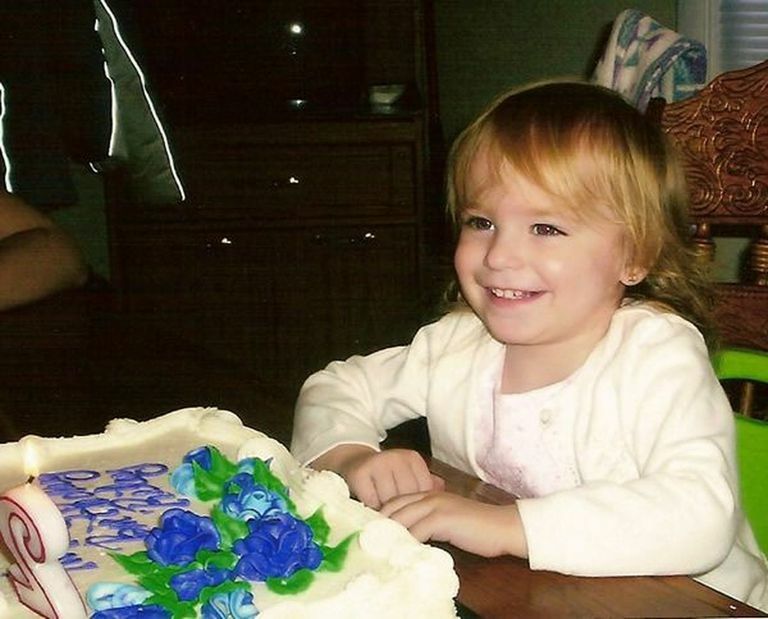 The toddler the nation knew as "Baby Grace" was identified as Riley Ann Sawyers. Riley's mother, Kimberly Dawn Trenor, and her husband, Royce Clyde Zeigler II were accused of torturing and beating her to death. Kimberly Dawn Trenor and her husband, Royce Clyde Zeigler II, were indicted after DNA evidence positively identified the toddler found in a plastic storage box in Galveston Bay as Trenor's daughter, Riley Ann Sawyers. The couple were also charged with tampering with evidence. A small island in Galveston Bay where a fisherman found the remains of two-year-old Riley Ann Sawyers in a plastic container was named "Riley's Island" by the Hitchcock, Texas, City Commission. The mother of the Riley Ann Sawyers was pregnant again and her trial was postponed until after she gave birth. At the same time, Galveston prosecutors came under criticism for not seeking the death penalty against Kimberly Dawn Trenor and her husband, Royce Clyde Zeigler II. Jury selection began this week for Kimberly Trenor, charged with the death of her daughter, Riley Ann Sawyers. The mother of a two-year-old girl, who was known as "Baby Grace" after her body was found in a container in Galveston Bay, faced trial by jury for the murder of the child. As jury selection was about to begin for the murder trial of the mother of Riley Ann Sawyers, prosecutors announced that the trial of Kimberly Trenor had been postponed until January. After multiple delays, the trial of Kimberly Trenor was scheduled to commence at the end of January 2009. Trenor, 20, pleaded guilty to tampering with evidence, but still faced trial for capital murder in the death of her daughter, Riley Ann Sawyers, on July 25, 2007. According to opening statements, even while she was being beaten to death, 2-year-old Riley Ann Sawyers tried to stop the abuse by reaching out to her mother and saying, "I love you." District attorney Kayla Allen told jurors that the toddler's desperate pleas did not stop the abuse, which eventually led to her death. A Texas jury deliberated less than two hours before returning a verdict of guilty of capital murder. The trial of Royce Clyde Zeigler II commenced. His defense claimed that Zeigler dumped the body of Riley Ann Sawyers in Galveston Bay, but he didn't have anything to do with her death. Zeigler, 26, was charged with capital murder but, like Trenor, did not face the death penalty if convicted. A Galveston jury deliberated less than five hours before convicting Royce Clyde Zeigler II for the beating death of Riley Ann Sawyers.